The Mayan family of languages is ancient and unique. With their distinctive relational nouns, positionals, and complex grammatical voices, they are quite alien to English and have never been shown to be genetically related to other New World tongues. These qualities, Clifton Pye shows, afford a particular opportunity for linguistic insight. Both an overview of lessons Pye has gleaned from more than thirty years of studying how children learn Mayan languages as well as a strong case for a novel method of researching crosslinguistic language acquisition more broadly, this book demonstrates the value of a close, granular analysis of a small language lineage for untangling the complexities of first language acquisition. 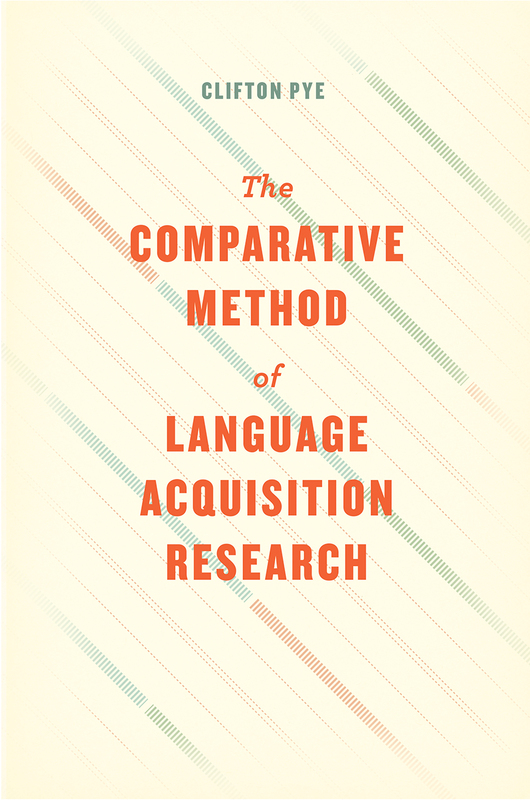 Pye here applies the comparative method to three Mayan languages—K’iche’, Mam, and Ch’ol—showing how differences in the use of verbs are connected to differences in the subject markers and pronouns used by children and adults. His holistic approach allows him to observe how small differences between the languages lead to significant differences in the structure of the children’s lexicon and grammar, and to learn why that is so. More than this, he expects that such careful scrutiny of related languages’ variable solutions to specific problems will yield new insights into how children acquire complex grammars. Studying such an array of related languages, he argues, is a necessary condition for understanding how any particular language is used; studying languages in isolation, comparing them only to one’s native tongue, is merely collecting linguistic curiosities.